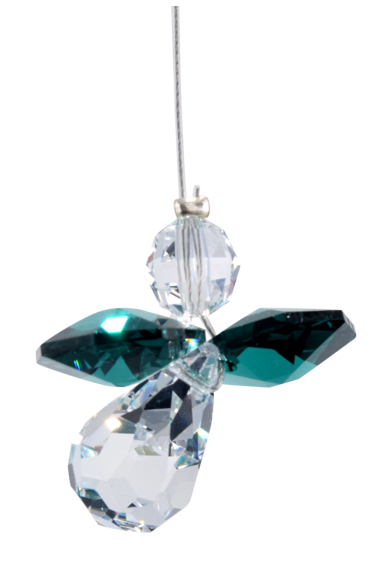 Handmade in the UK, our Classic Guardian Angel in our Emerald colourway, is made using only the highest quality Swarovski crystals. Emerald is the birthstone for May. Each Angel comes with an explanation of it's colour meaning.